Check out Prof. Rory Medcalf’s article on “Australia And China: understanding the reality check” in the link below!! As China increasingly exerts its power around the world, one country has become an unlikely front line in the contest for influence: Australia. This country recently introduced tough laws against foreign interference and espionage, followed by a decision effectively to ban Chinese corporates from its 5G network. These actions have defined Australia’s position at the leading edge of a global trend to push back against the ‘sharp power’ of China’s Communist Party in influencing the internal affairs of other states. In this public lecture, prominent Australian strategic analyst Rory Medcalf will examine this vital US ally’s new assertion of its interests and independence. 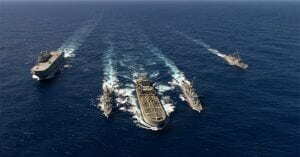 He will position Australia’s China debate in the broader dynamic of strategic competition in the Indo-Pacific region and consider wider implications for the United States, allies and partners in managing Chinese power while avoiding both capitulation and conflict. 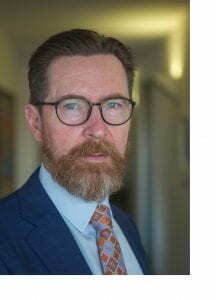 Professor Rory Medcalf is Head of the National Security College at the Australian National University in Canberra. 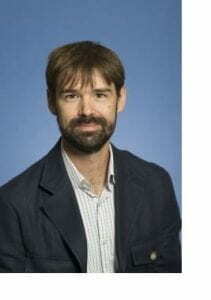 He has led the College’s expansion to leverage its academic and training programs as a key think tank for futures analysis and policy contestability in Australia’s national security community. His career spans diplomacy, intelligence analysis, think tanks, academia and journalism. He was founding director of the international security program at the Lowy Institute and an adviser on Australia’s 2016 Defence White Paper. Professor Medcalf is known internationally as an early proponent of the increasingly influential Indo-Pacific concept of the Asian strategic environment. He is a Nonresident Senior Fellow with the Brookings Institution. Moderator: Benjamin D. Hopkins is a specialist in modern South Asian history, in particular that of Afghanistan, as well as British imperialism. His research focuses on the role of the colonial state in creating the modern states inhabiting the region. His first book, The Making of Modern Afghanistan, examined the efforts of the British East India Company to construct an Afghan state in the early part of the nineteenth century and provides a corrective to the history of the so-called ‘Great Game.’ His second book, Fragments of the Afghan Frontier, co-authored with anthropologist Magnus Marsden, pairs a complex historical narrative with rich ethnographic detail to conceptualize the Afghan frontier as a collection of discrete fragments which create continually evolving collage of meaning.